The Learning and Teaching Conference 2018 theme has been announced: Education for Life: celebrating partnership, encouraging innovation. This one-day event will take place Wednesday 21 March 2018, 9am-5.30pm. Read more about the conference theme, find full details of the event and register on the conference webpage. Proposals are welcomed from academic staff, students and Professional Services staff, for individual or collaborative submissions. Further information about the conference theme Education for Life: celebrating partnership, encouraging innovation is available on the conference webpage. All sessions will have a member of LTDS staff allocated to help in advance of the event, who will also be in the session on the day. A hands on session to solve a problem, practice something new, showcase a method. Learning by doing. Choose a flat teaching space arranged cabaret style, or a PC cluster. These sessions will be chaired by a member of academic staff, and wherever possible grouped into themed sessions to enable a short panel discussion and Q&A at the end. A speedy way to introduce a new idea, share an approach, or ask a question. Grouped in themed sessions wherever possible. A chance to meet people doing similar things to you. Several lightning talks will be followed by a Q&A session. You can choose whether or not to use audio visual aids, or you could submit a 3 minute video! Posters will be on display all day in the Boiler House. Poster presenters should be available by their poster to answer questions during the lunch break. Delegates will vote on their favourite and a prize will be awarded. Complete the call for submissions form to submit your ideas by Friday 19 January 2018. All submissions will be reviewed by the Learning and Teaching Conference Programme Committee, and session allocations will be confirmed by Wednesday 31 January 2018. We will wherever possible try to accommodate your preferred session, however you may be allocated a different session format, at the discretion of the committee. If you have somewhere to put it up you can print out this poster, or use this version to send out to colleagues. Our annual Learning and Teaching Conference was on 18th-19th June 2014. The conference theme was ‘Learning, Teaching and the Student Experience’. 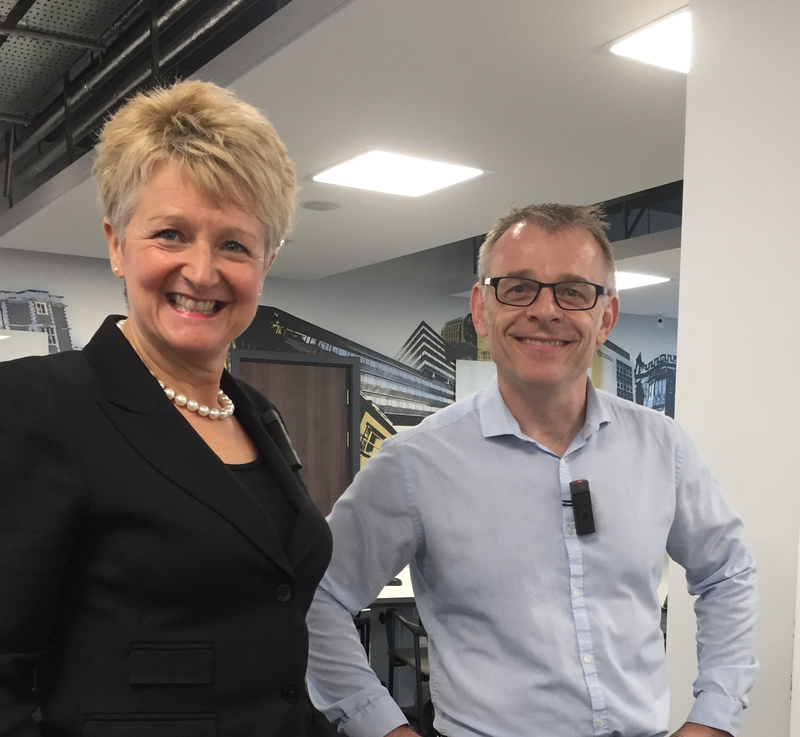 The main purpose of the Conference, hosted by Suzanne Cholerton (PVC Learning and Teaching), is working with staff to enhance the student learning experience. All staff at Newcastle University were invited to take part in the Conference, students presented on their own as along side staff. Most sessions were 20 minutes long, scheduled in themed 2 hour blocks of 4 to 6 sessions. There were refreshment breaks between blocks, and discussion time within blocks. If you attended the conference this year please complete the feedback form if you have not already done so. Raising the Bar – implications for Learning, Teaching and the Student Experience The session will set Newcastle University’s Raising the Bar initiative in the context of the broader, strategic HE environment, with particular emphasis on our ambitions to grow and the implications for learning, teaching and the student experience. The Learning process- how do we create the right environment? Focusing on the Raising the Bar initiative, this workshop aims to generate 10 key principles to develop suitable learning spaces. We will explore innovative practices and how the academic and student community can work with ESS and ISS to help design the type of spaces required. It’s the transition that is troublesome. 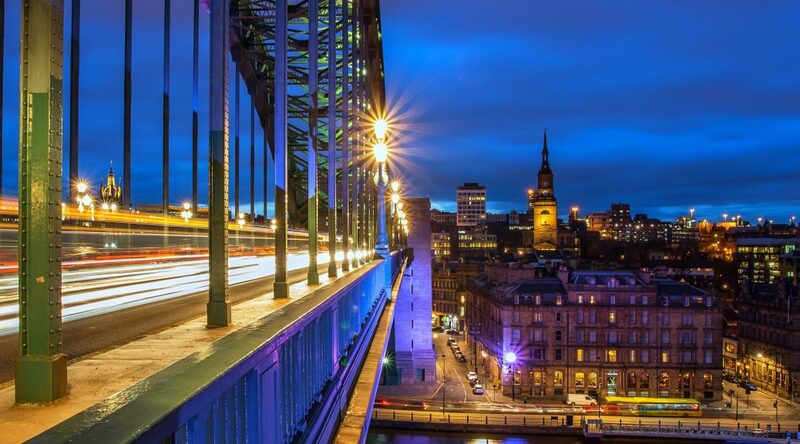 Building Bridges: Successful Transition and Innovative Practice. Better French Living Through Independent Learning. to collaborate with NU students in the development of online resources which will be specifically designed to help other students prepare for a placement in a francophone country. Enhancing the Employability of Stage 2 Maths & Stats students through the School of Maths & Stats Careers Management Skills Award. Two approaches to developing medical student preparedness. Enhancing skills in analysis and resolution of complex issues of relevance to Food and Human Nutrition. This presentation will discuss the experiences gained from attending a major international symposium on “Dietary Guidelines: Scientific substantiation and public health impact” which took place at The Royal Society of Medicine earlier in the year. To Boldly Go: roundtable reflections on engaging students with (personal) enterprise. 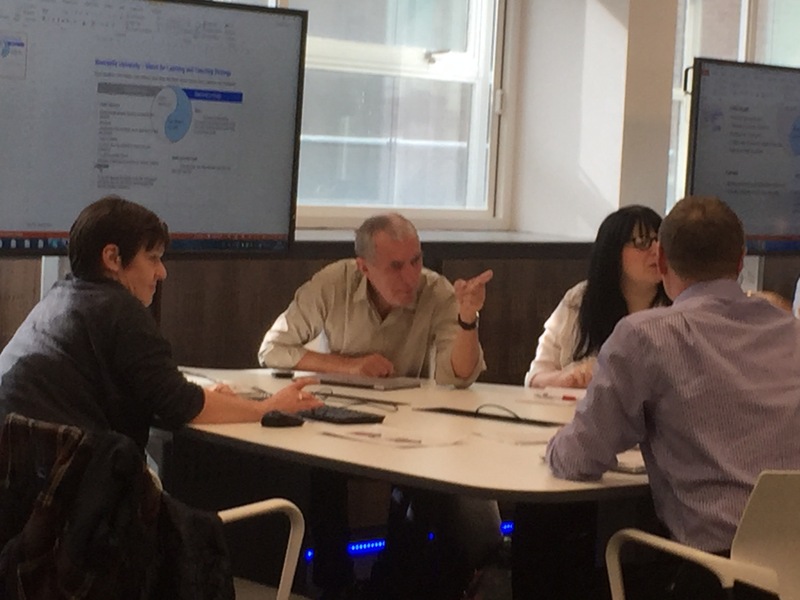 Roundtable presenters will discuss key areas of practice in cultivating enterprising skills and behaviours and reflect on some of the tensions and contradictions involved in the context of assessed modules. Is your mobile device improving your learning and teaching? Would you like it to? If the answer to either of these questions is yes, then this is the event for you. We will be demonstrating some L & T apps, and would also like you to show your favourites at this interactive app swap. Bring your device and learn what apps are out there to support your teaching. The apps demonstrated will be usable on Apple or Android devices. NPCEC: Postgraduate Innovation in Research and Professional Development. Student Involvement in Medical Education Research. Transdiscipline student partner approaches for evidence-based development and evaluation of a novel cyclical ORDER (observe-reflect-draw-edit-repeat) artistic learning technique in anatomy education. Teaching psychological research methods through a pragmatic and programmatic approach. Creative Difference: Feedback and Assessment in Fine Art. The greatest potential benefit from assessment is from constructive feedback. We have developed a system that automatically generates meaningful feedback without requiring significant time investment by academic staff. Presentation. Getting the Romans online: e-learning, student engagement and contextual knowledge in the humanities. This presentation explores a recent initiative by Archaeology to augment student learning through the provision of additional Blackboard based resources, which allow undergraduates to develop their contextual knowledge base. Presentation. An Evaluation of ePortfolio for Personal Tutoring. What can we learn from MOOCs? What are the lessons learnt so far from developing ‘Massive Open Online Courses’ for the FutureLearn social learning platform? How can we apply these lessons to distance and campus based education? The annual Learning and Teaching Conference took place on 24th-25th June 2013. This Conference was hosted by Suzanne Cholerton, PVC Learning and Teaching. 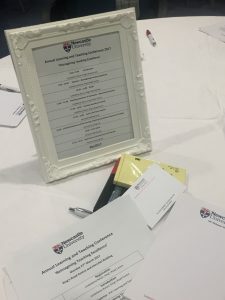 It celebrated the many learning and teaching successes which have further improved the learning experience of our students, sharing these examples across NU. The overall theme of the conference was ‘Meeting needs and fulfilling expectations’ and the conference had a particular focus on both assessment & feedback and retention through student engagement. Each day the morning sessions focussed on presentations and debate with the afternoon sessions focusing on interactive, participative masterclasses led by colleagues and students, offering the opportunity to consider in more detail how their experience and ideas can be put into practice in your learning and teaching practice. 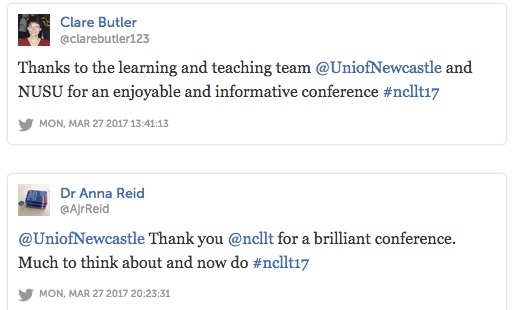 Colleagues tweeted about the Conference using the hashtag #ncltl: click here for a Storify archive of their tweets. Click here for general information about using twitter and hashtags. Links to ReCap recordings are included where possible. Network connectivity issues meant not all sessions could be recorded. Conference programme, Monday 24th June. Lynne Rawles, Sam Ducker, Nuala Davis. There are many tools that enable video conversations between individuals and groups. Using Adobe Connect, Skype and Lync we will give some tips on preparing interactive sessions and identify questions you need to ask in order to make good choices of software tools. The session offered opportunities to participate in one or more online meetings. This workshop was presented in partnership with UNITE. Please note that this session was oversubscribed. We plan to repeat the session at a later date to allow everyone interested the opportunity to attend. Conference programme, Tuesday 25th June. A panel discussion chaired by Ella Ritchie, with panel members including Katherine Brown (Student Rep, History Classics and Archaeology); Iain Wheeldon (ICCHS), Bryn Jones (PG Dean), Stephen Grinsell (INTO). Briefing document. Alison Clapp, Lynne Rawles, Laura Delgaty. This workshop introduced ReCap Personal Capture software. Participants were given the opportunity to create a recording, edit it and investigate the feedback functionality offered by the software. This workshop was presented in partnership with UNITE and the ReCap Steering Group. The Conference recognised and shared work across the institution in preparation for the Newcastle Offer commitments as we move towards 2012/13. Scroll down this page for ReCap recordings, slides, contact information and other resources from the event. This session was about the specific use of social media in teaching. The University’s general guidelines for the use of social media are available online. Mei-Yen Chan (Food and Human Nutrition) and her students have set up a project using Facebook to help BSc students on the Singapore and Newcastle campuses to interact with each other. Their video interview is now available online – technical delays prevented us showing this at the Conference. 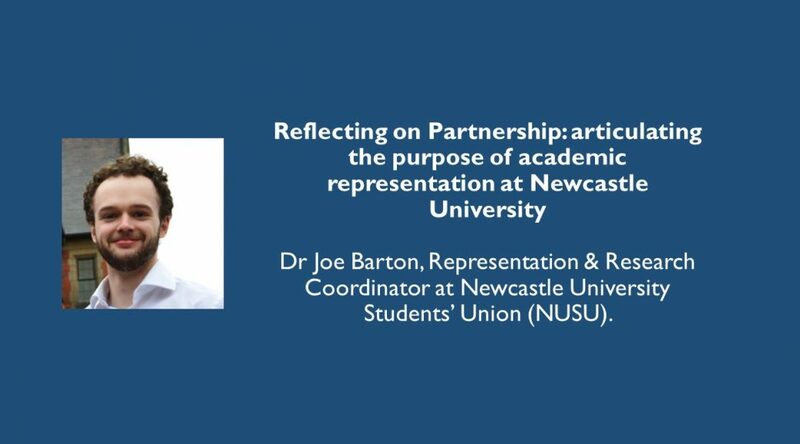 A multi-stranded definition of what research-informed teaching at Newcastle University is, and what this looks like in practice, was out for consultation at the time of this session. This was an opportunity to discuss each strand in its own right, and together as a multi-stranded definition. Are these principles clear? Do they allow for the breadth of practice at NU? 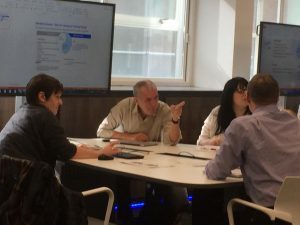 Round table discussion: Research-informed teaching. Lindsey Ferrie (Biomedical Sciences) and her students have made short videos showing the student experience of research-informed teaching. 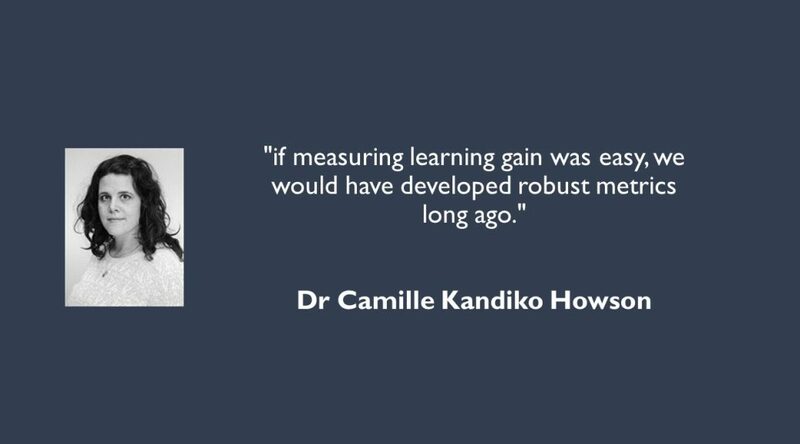 Their videos about the lab assistant scheme and research-informed teaching are now available online – technical delays prevented us showing this at the Conference. Engaging students in taught sessions.This session highlighted ways in which staff actively involve students in taught sessions. Click here for information on University policies and support for student representation. The NUSU website includes information for staff involved in Staff Student Committees. Click the “information for staff” link on the right hand side. For more information on different theories of learning and teaching click here. Keynote session: Updating our Learning, Teaching and Student Experience Strategy.Newcastle University’s mission is ‘to deliver teaching and facilitate learning of the highest quality’ and our existing LTSE Strategy sets out our aspirations to enrich students’ experience of higher education. This keynote session gave an opportunity to reflect on our existing LTSE Strategy and discuss how best to update it as we move towards 2012/13.